Here is the honest truth about working in the drilling business: Consistent work for rig hands is dependent on a company’s rig utilization. 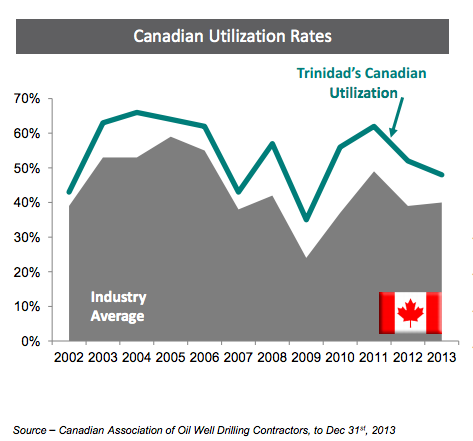 Drilling contractors, such as Trinidad Drilling, are hired by oil and gas exploration and production companies to drill wells. 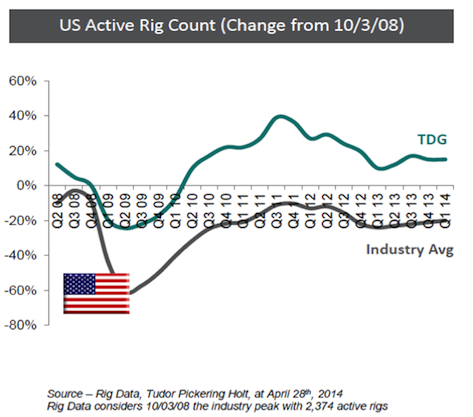 In order for rig hands to have work, a drilling company needs to have its rigs under contract. Our crews are consistently working because Trinidad has one of the highest levels of long-term contracts and some of the best utilization rates in the business. Our fleet is in demand because we respond to industry trends by integrating advanced technologies into our rigs; 80 per cent of Trinidad’s fleet is made up of high-performance, high-mobility rigs with advanced drilling controls. Oil and gas exploration is moving to deeper, more complex targets, and over 80 per cent of our rigs are capable of drilling more than 8,000 feet (2,400 metres). Trinidad is always working to maintain its competitive advantage. We are consistently upgrading rigs and undertaking new rig builds. For example, we are currently building Trinidad Rig 58, which will be one of the largest and most technically advanced land rigs drilling in North America when it is finished. Our reputation is a major reason for our success as a company. Our customers know we deliver results. This has a lot to do with the quality of our team in the field. Our people are some of the most knowledgeable, skilled and well-trained in the business. Plus, our crews stick around because of consistent work and because Trinidad is committed to keeping them safe and investing in their careers. Drilling can be a fulfilling and lucrative career. It offers high pay, scheduled time-off and opportunities for career growth. If you choose a company with high rig-utilization rates, you are more likely to have consistent work and make a good living for you and your family. Join the Trinidad Drilling team today.